We recommend that Timberwise underlay material is installed underneath the Timberwise parquet. This is to make sure that your floor is also adequately protected underneath. The underlay material of a floating parquet floor must not be too thick or excessively flexible: the compression of the underlay material may not exceed 25% of the thickness of the material (2.5 tn/m2). By using Timberwise’s own underlay material you can ensure that your parquet is installed on appropriate underlay material. 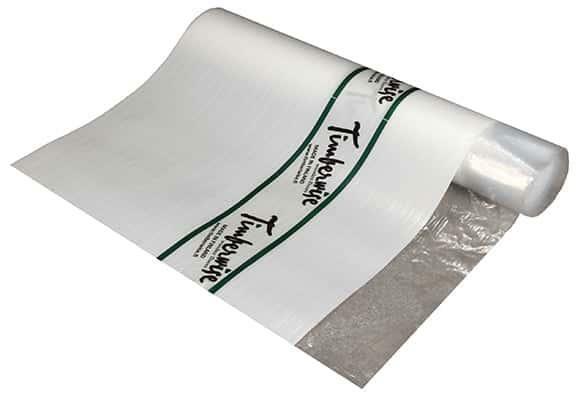 Timberwise underlay material functions as moisture barrier and impact-sound proofing. Underlay material is placed so that the logo side is against the floor.